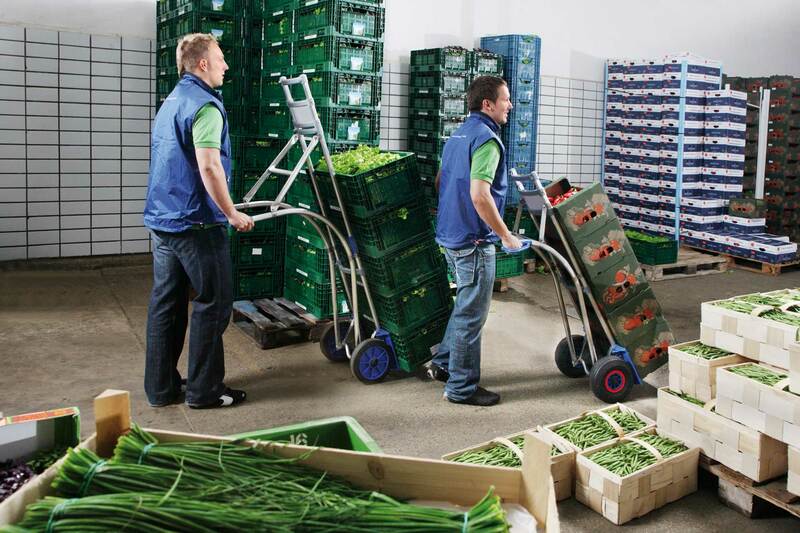 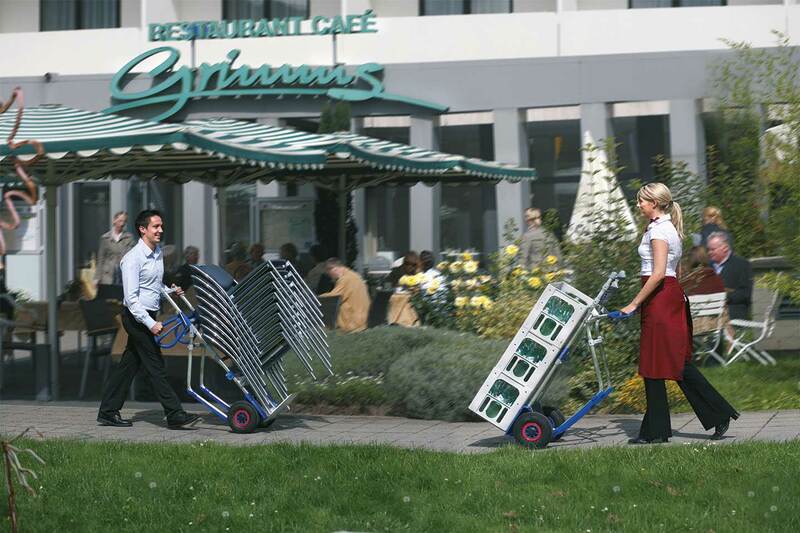 EXPRESSO manual and powered transport & handling equipment simplifies and optimises work procedures worldwide. 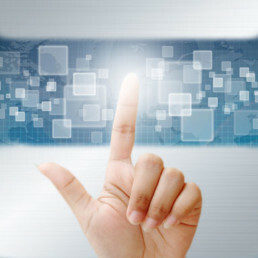 They are used wherever future-oriented, efficient and individual logistics are required. 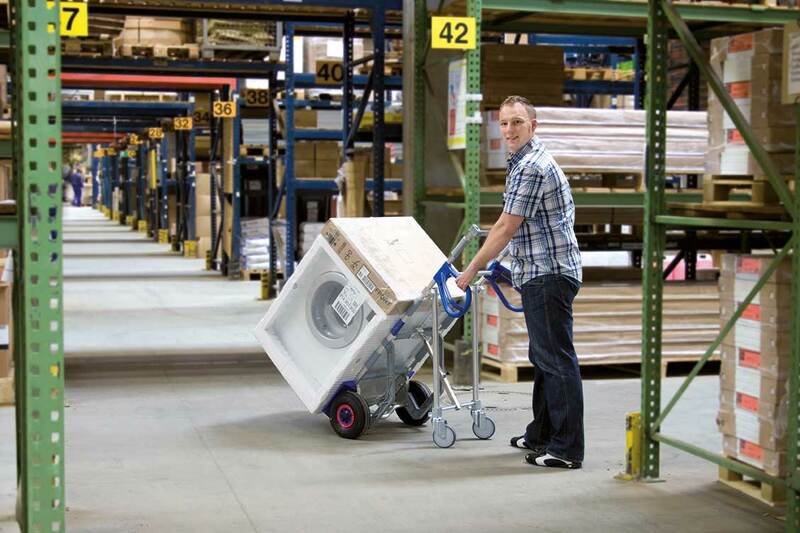 All our products are manufactured using a modular system, enabling us to provide individual, customer-specific solutions. 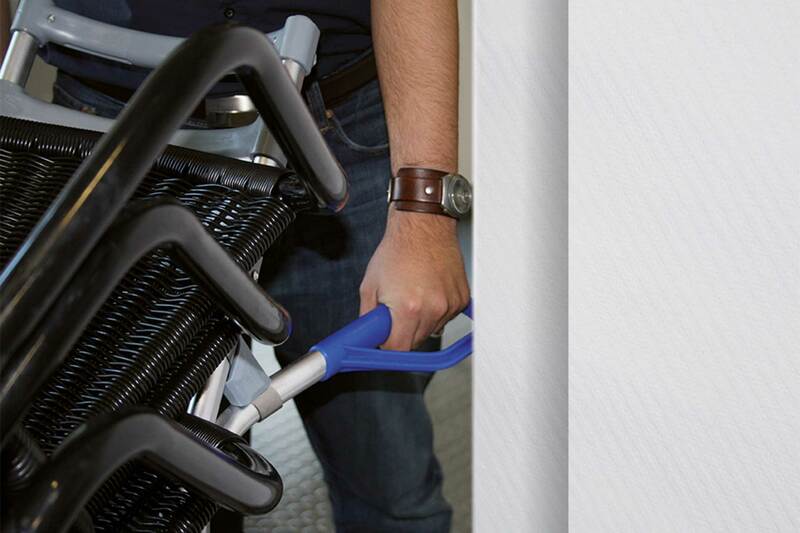 Since 1953, our products are highly convincing, thanks to their safety features, quality, ergonomics and precise workmanship. 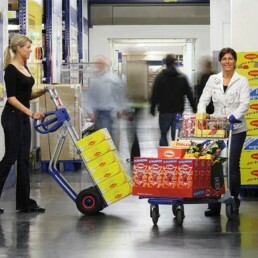 Their long service life and permanent availability underline their outstanding economic advantages. 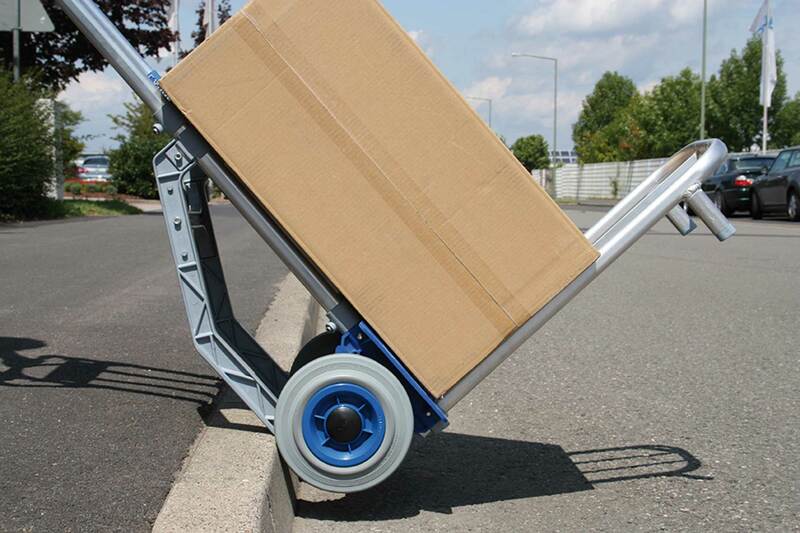 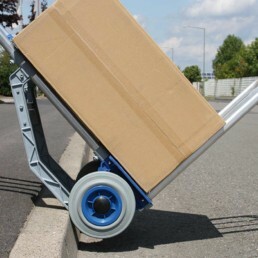 Frequently, heavy and bulky goods must be moved and handled by one person. 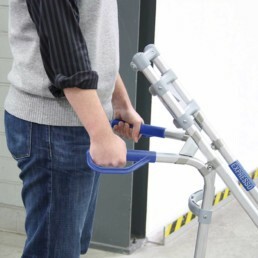 As a consequence, spinal problems and injuries can occur. 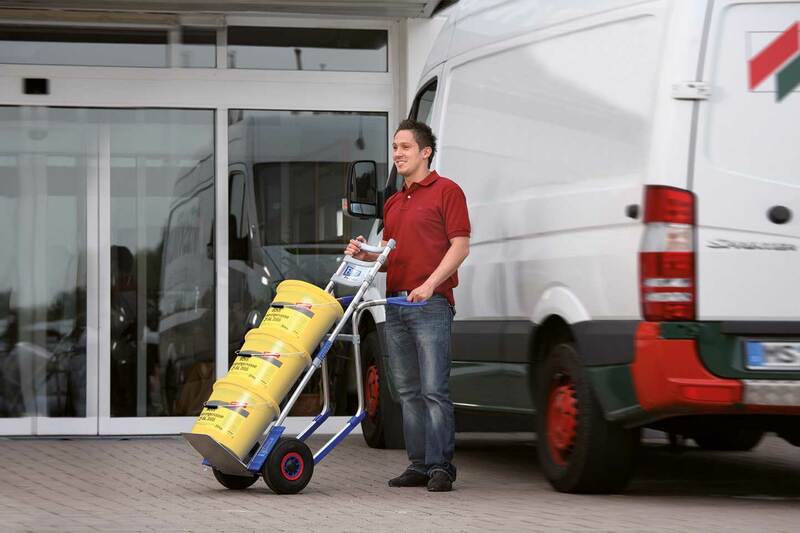 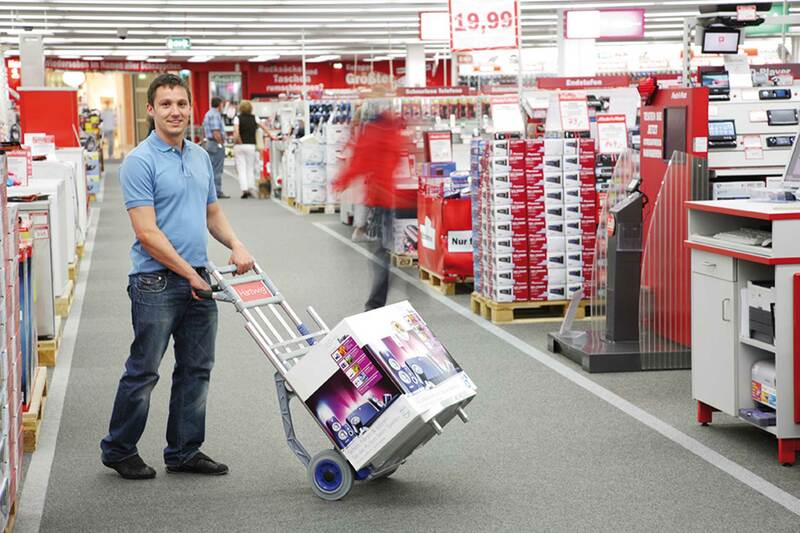 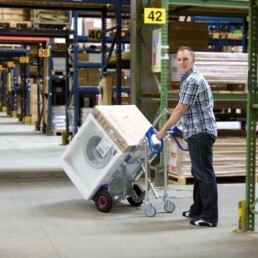 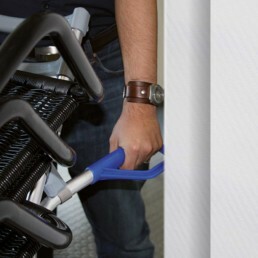 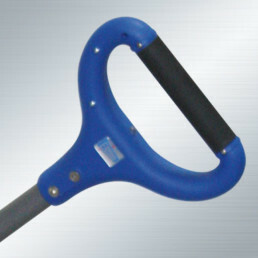 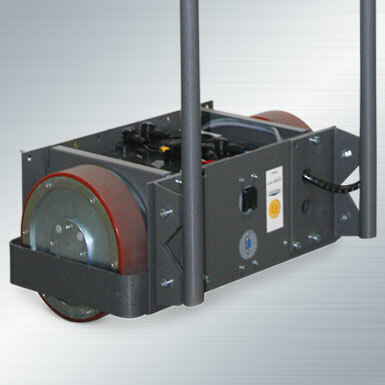 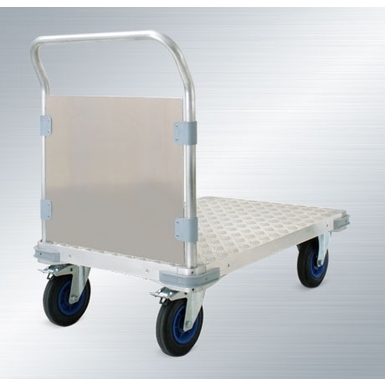 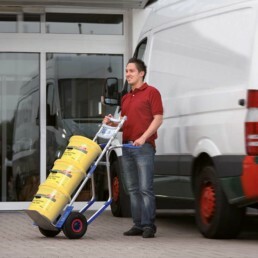 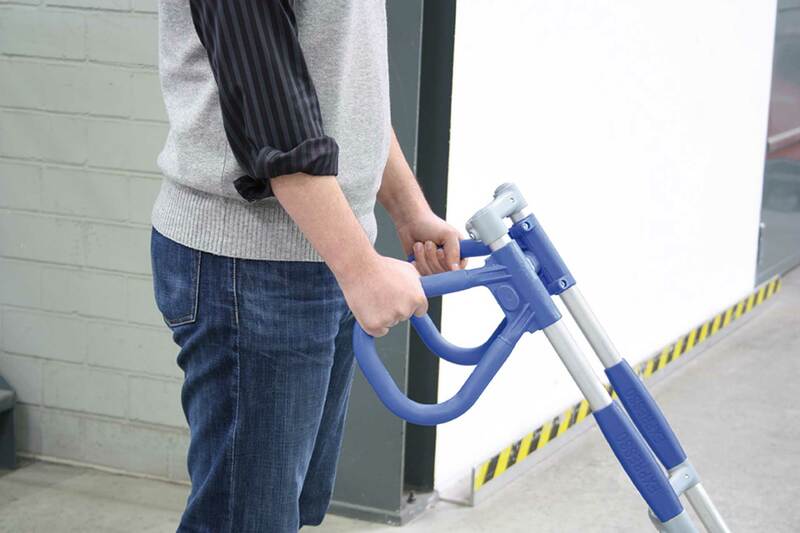 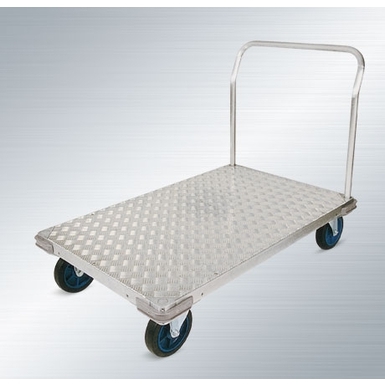 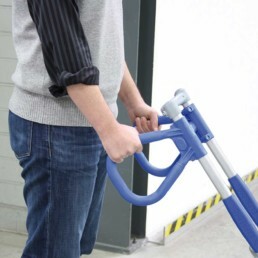 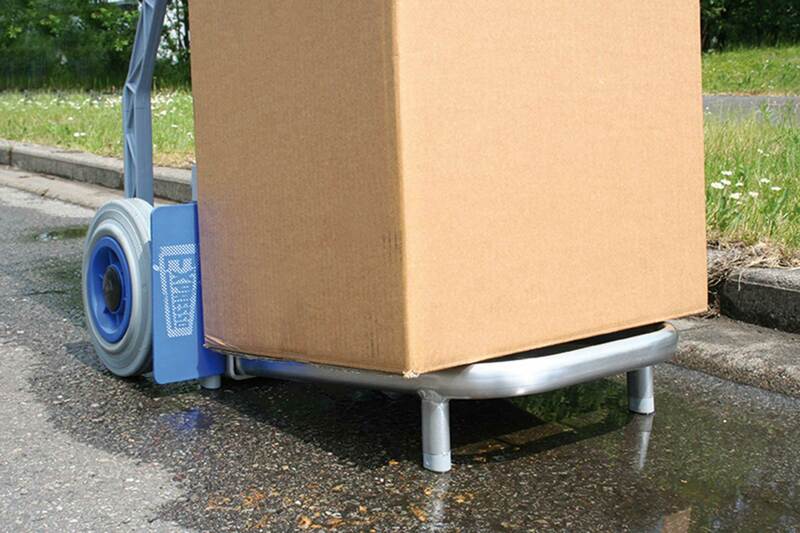 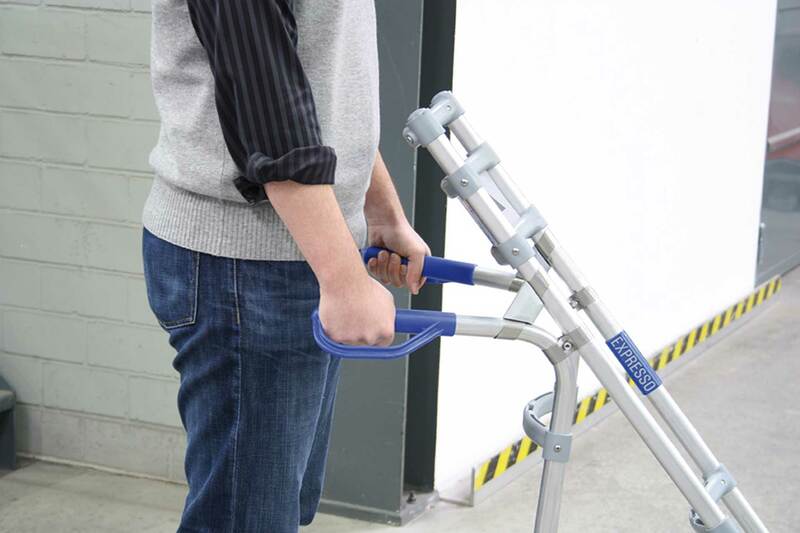 Here, it is helpful to have a rugged companion in the shape of a lightweight and ergonomic hand truck. 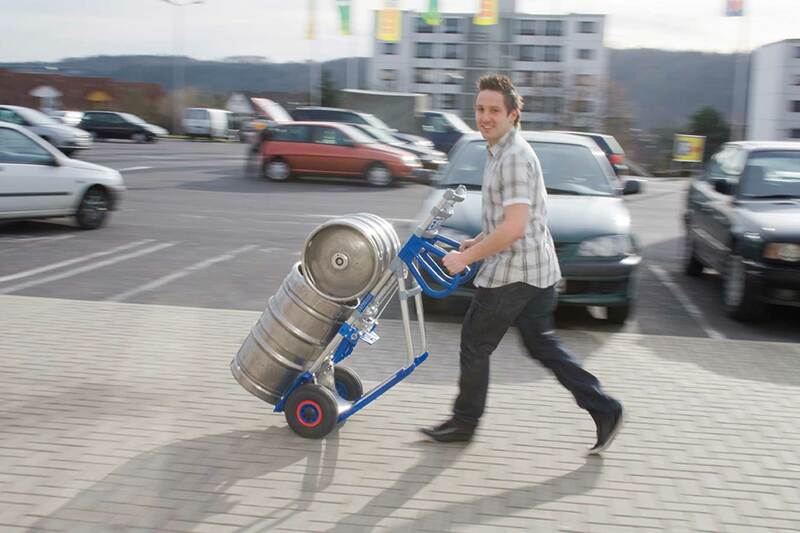 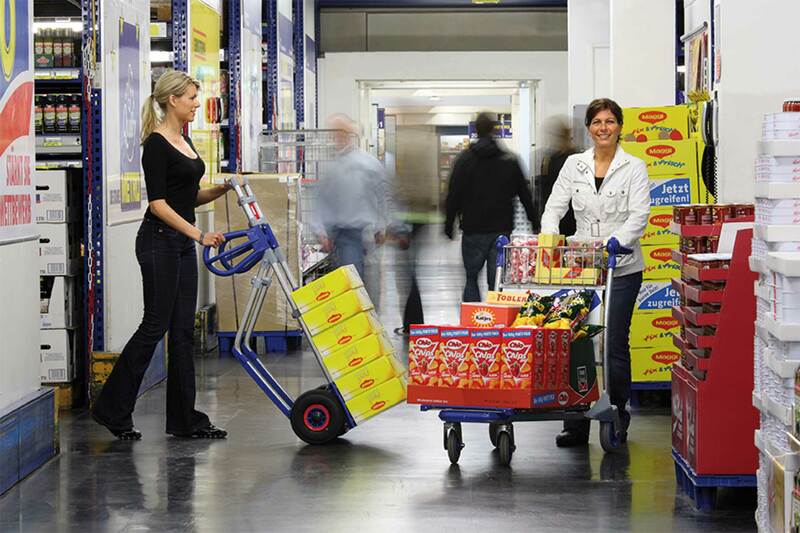 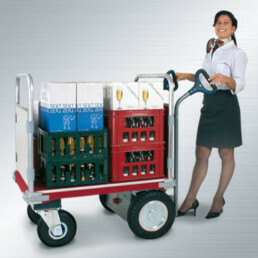 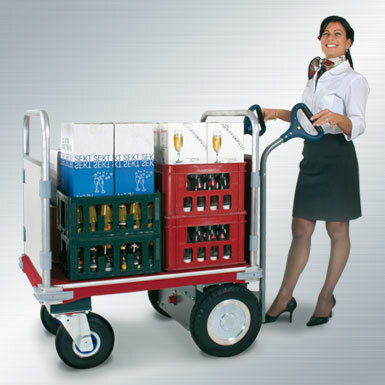 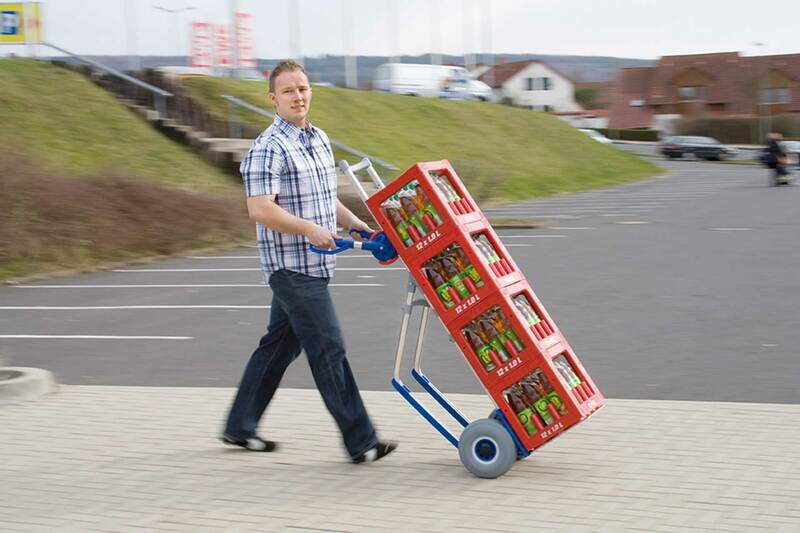 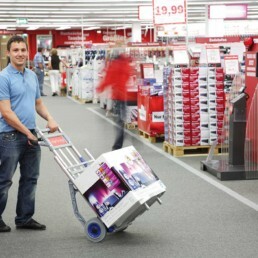 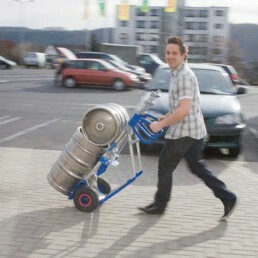 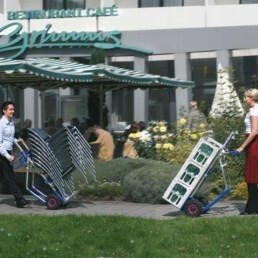 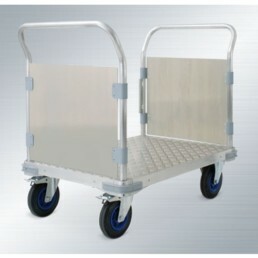 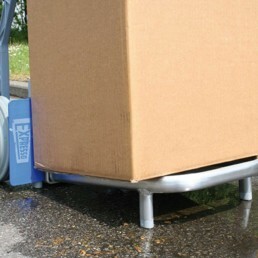 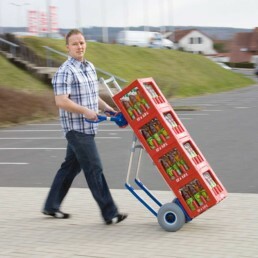 Since decades, hand trucks from the well-known supplier EXPRESSO in Kassel, Germany, are in worldwide use by professionals in the beverage and foodstuffs industries, in warehouses, with parcel distribution services, plus many other applications including mobile use in vans and delivery trucks.